"Love the Pets What You Keep"
Dogs, cats and rabbits are the pets which are the most frequent house pets in our real life. The main reason that pet owners select them for keeping is they are cute looking pets. However, pet owners sometimes encounter the difficulty of keeping them, and even abandon them finally. The only thing we can make sure is pet owners should not do that. 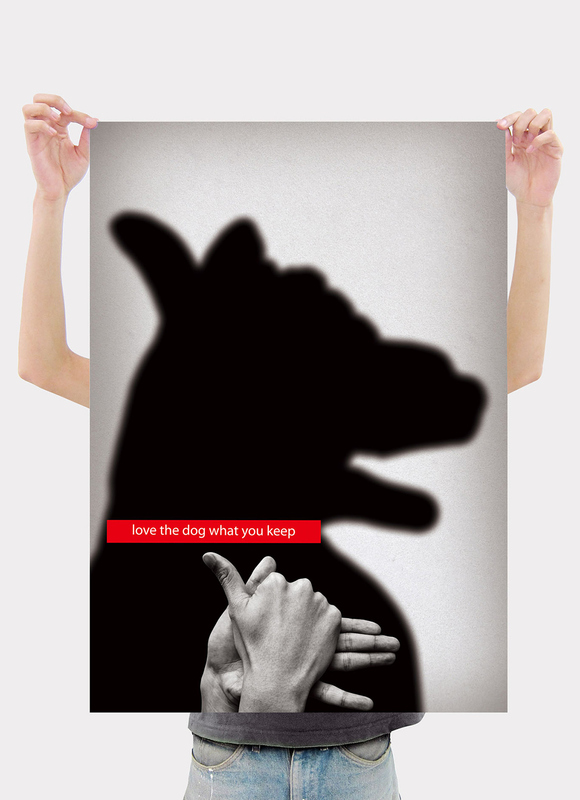 In fact, the relationship between pets and pet owners is like hands and shadows as shown in the posts. When pet owners keep them, their lives will be held in the hands of pet owners. Therefore, we have to love the pets and should not abandon them.